The Tarheel Surveyor is the biannual publication of the North Carolina Society of Surveyors. 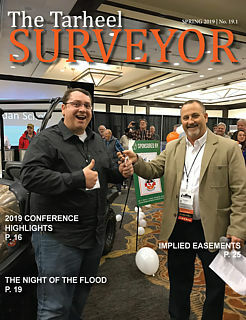 Beginning as a newsletter dating back as far as the 1960s, it grew into a full-blown magazine that contains articles and updates relevant to surveyors and related professions across the state of NC. Each member receives a physical copy of this magazine in the mail. Page built in 0.03836 seconds.